‘Do you travel much?’ is one of the key questions you get asked when you’ve just retired. My answer is yes; but then we always did, even before we were ‘retired’. So nothing much has changed. The first dark week of January saw us booking some highlights for the year ahead, then we switched to something more local; we travelled on the bus to Ingleton, the next village, so that I could use my newish bus pass. It was, in a miniature way, a Grand Morning Out with a nice coffee shop as the end goal. A day or half a day can be a holiday if you want it to be. Sooner or later the opportunity for a day trip with the NHS also comes along. And so I found myself on Monday in the grandly named ‘admissions lounge’ of the Royal Lancaster Infirmary awaiting a very minor procedure under general anaesthetic. The preparations for this trip had been lengthy and had already involved forms and tests at my ‘pre-op’ appointment as well as exciting brochures and leaflets coming through the post. There had been pre-trip nerves, too. Check in at Lancaster was at 9.30, but I arrived half an hour early as we weren’t sure what the winter roads were going to be like. Even though it was a day trip, I’d been told to pack an overnight bag ‘just in case’. 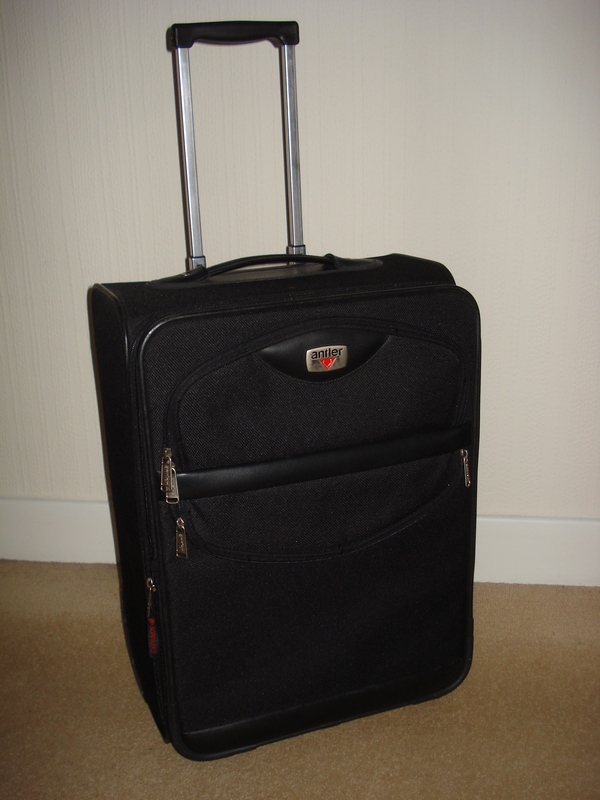 After I’d stuffed my towelling bath robe into the nearest thing I had to a small overnight bag, I realised I had no room for anything else, so I opted for the smallest trolley case we had. There was, after all, no weight limit. ‘Going on your holidays, love?’, they said cheerily at reception, examining my flight tickets and showing me over to a nearby seating area. There was no speedy boarding. The case proved useful for resting my legs during the long five hour wait for my flight slot. Yes, five hours. ‘Mr X likes to get his patients in early,’ they said. All around me were patient patients waiting for beds or consultants or anaesthetists, feet tapping gently to the sound of Smooth Radio. Most people don’t seem to read. At most it’s a phone fiddle or a chat with your neighbour about the wait and your fear. I took three hours rather than my usual one hour to read 10% of a book (Kindle stats). It was strange to see half the population so inactive while the hospital staff scurried round; you felt like offering to do a bit of filing or seeing if you could help in any way. All these man-hours spent in hospital waiting areas could surely be put to good use. The gate opened for me eventually at 1.30 with an invitation to get changed into a theatre gown and long white socks. I then proceeded along the populated corridors pulling my trolley case behind me. The bulky dressing gown came into its own. ‘Going on your holidays, love?’ someone shouted. My passport and credentials were checked at regular intervals. I was asked every step of the way if I had any allergies or if I had hidden metal on my person. This was screening to end all screening; I’m glad they’re thorough, but I now understand what they say about the NHS and paperwork. Finally I made it to the VIP lounge that is the anaesthetics room, where someone took my suitcase off to ‘Recovery’. So that was it. After all that preamble I had a quick take off and a 20 minute flight. After landing I had a scenic tour through miles of corridor, where the cold draughts of Arctic Lancaster soon woke me up. Determined to depart the day-ward as soon as possible, I made it to the sandwiches and tea in record time and sent for my driver. There were no formalities at the final passport control. Indeed, I had to push for some information as to how things had gone. The nurses cheerily explained the acronyms on the computer print-out. I was quite worried about having an OPA, but apparently this is just an outpatient appointment. The tour operator did well, actually. It’s fashionable to batter the NHS with criticism, but everyone was really helpful. When your turn comes, just think of it as a day trip!